We looked at the top 5 Mesh Routers and dug through the reviews from 24 of the most popular review sites including Tom's Guide, Tech Radar, Trusted Reviews, PC Magazine, CNET, Tech Spot and more. The result is a ranking of the best Mesh Routers. Our experts reviewed the top 5 Mesh Routers and also dug through the reviews from 24 of the most popular review sites including Tom's Guide, Tech Radar, Trusted Reviews, PC Magazine, CNET, Tech Spot and more. The result is a ranking of the best of the best Mesh Routers. For performance, it doesn't get much better than the No. 1 overall pick NETGEAR Orbi, which offers speeds of up to 3 Gbps. This mesh network is ideal for larger homes, with coverage of up to 5,000 feet. This router also allows you to set up a guest network and control your children's internet access. DWYM Electronics Experts plus Tom’s Guide, Tech Radar, Trusted Reviews, Tech Spot, New York Times Wirecutter and 1 more. Along with user reviews from Amazon, Best Buy and Walmart.
" Netgear's Orbi offers phenomenal speed and performance." "It’s probably twice as expensive as any router you’ve ever bought, the Orbi’s benefits do well to justify the price." One of the best things about the Google Wi-Fi System is its customizability. If you have 1,500 square feet, one router will work, while you can buy a three-router set to cover up to 4,500 square feet. Its small size makes it easy to blend it with your home's decor. DWYM Electronics Experts plus CNET, Tech Radar, Tom’s Guide, Trusted Reviews, Digital Trends, Engadget. Along with user reviews from Best Buy, Amazon and Walmart.
" The app displays your entire home network in an easy to understand layout"
"For all the finer hardware controls it lacks, Google considered every toggle and test it could present in an easily"
Easy setup makes the Eero Home Wi-Fi System a popular mesh network for many consumers. You can also add more beacons on to the network later. If you have an Alexa speaker, you'll love the ability to control your home network through voice command. DWYM Electronics Experts plus Tech Radar, CNET, Tom’s Guide, Tech Spot, New York Times Wirecutter. Along with user reviews from Amazon, Best Buy and Walmart.
" Setup is just as easy as all of the other Wi-Fi mesh systems, using a free Eero app for iOS and Android phones. Just install the router, update its firmware, give it a name and password – and you’re good...."
"The system is expensive (even for mesh network gear), not fast enough for bandwidth-heavy local tasks and has minimal features." If you need only two access points, the AmliFi HD Wi-Fi System will work well for your home. You can control your children's access through the app, as well as use your router in bridge mode. An LED screen that lets you know signal strength makes it easy to find the perfect place to locate it within your home. DWYM Electronics Experts plus Tom’s Guide, Tech Radar, Trusted Reviews. Along with user reviews from Amazon.
" The AmpliFi HD router's design is like no other on this planet. 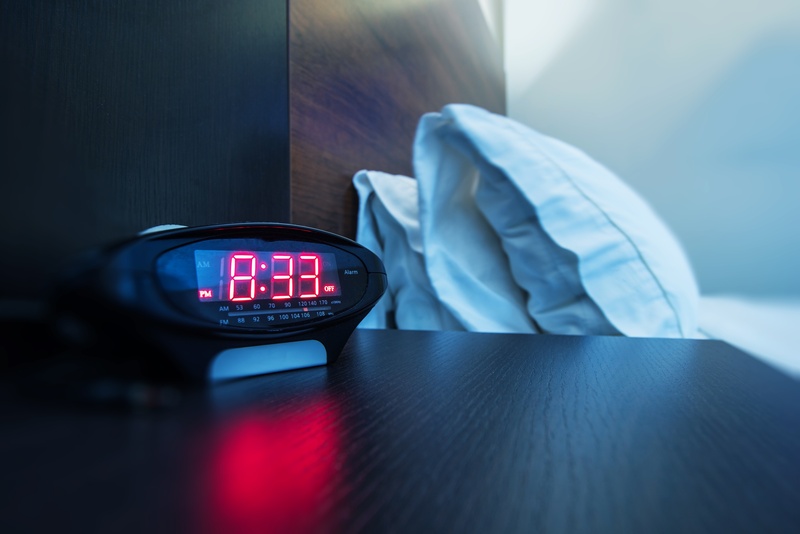 The 3.9-inch white cube has neither switches nor external antennas, and it looks more like an alarm clock than a piece of networking gear. In fact, it's so..."
"While most of the design is fantastic, we’re not too sold on the MeshPointHD designs, as they look a little ungainly compared to the rest of the setup." We identified the majority of the mesh routers available to purchase. 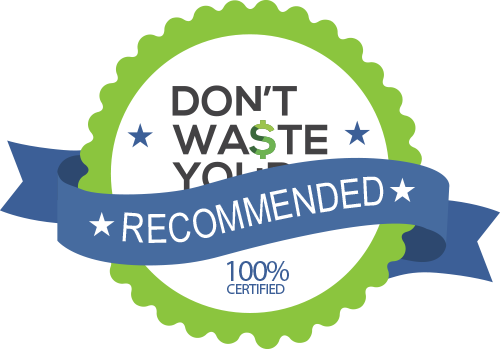 Reviews from our DWYM category experts and analysis of some of the most respected sources including: Tom's Guide, Tech Radar, Trusted Reviews, PC Magazine, CNET. Practically everywhere else in my house the signal strength measured 100% with Orbi. Netgear's Orbi offers phenomenal speed and performance. The Netgear Orbi can coat your whole property in consistently strong Wi-Fi signal. Thanks to a dedicated high-bandwidth Wi-Fi connection between the router and the satellite, the Orbi RBK50 kit had among the best throughput and range of the kits we tested. Its pricing runs a bit on the high side. It’s probably twice as expensive as any router you’ve ever bought, the Orbi’s benefits do well to justify the price. This value is compounded with the simple setup and network management through a smartphone app. In our own testing, we were not able to confirm or disprove this, but whereas some mesh systems' signals jumped all over the place, the Wifi was stable and consistent. What will appeal to many about the Google Wifi is its apparently easy setup and maintenance. Its app-based setup and management is a breeze, and we think most buyers will be happy with the way it looks — an important consideration for mesh routers that will end up in conspicuous places around your home. If you have a larger house, you'll probably want to add extra WiFi points. With Google WiFi this is very easy to do: Just tell the app that you want to add a new device, and plug it in. Wirelessly extending a Wi-Fi signal always results in some 50 percent signal loss because the extender has to do two jobs at once: receiving the Wi-Fi signal from the original router and rebroadcasting. Because it lacks parental controls, a detailed settings menu or a desktop administrative interface, the Google Wifi may not for everyone — but it is for those who want to set up a mesh-router system without thinking about it too much, or without busting their budgets. Once connected to your modem, there’s only a single available Ethernet jack for your wired devices, and no USB ports at all. Also, if you want to connect multiple devices using a cable, you're out of luck, as Google WiFi has only two Ethernet ports. In-home Wi-Fi works great unless you have an unusual layout or multiple floors. For those homes, there seems to always be at least one dead spot. Sure, you can avoid that part of your house, but why? You may as well enjoy every square foot. Mesh networks have grown in popularity in recent years. Once used by businesses, these special routers can be easily placed throughout your home to extend your network. Since these devices will need to be in a fairly accessible area of whatever room you choose, it’s important to consider how they look when you’re making your purchase. Today’s home mesh networking devices are built to blend with any décor. In the early days of home Wi-Fi, the single-router setup had the ability to penetrate walls and other barriers within a home. However, as networking evolved, there was an unfortunate byproduct; the higher 5GHz frequency used by today’s Wi-Fi routers has difficulty making it through those same obstacles, leading to dead spots, especially in larger homes. Mesh routers can help remedy this issue. It’s important to note before you buy that you likely won’t get the same speed and performance you’ll enjoy with your main router. The signal always degrades with a secondary router since the device has to both receive your main router’s signal and rebroadcast it. Generally, you can expect about a 50 percent loss. To give yourself the best advantage possible, pay close attention to the specs on any system you’re considering. Since your speed will be reduced, you’ll want to go with the fastest performer possible. The NETGEAR Orbi uses patented technology to keep your network moving along smoothly, even when multiple devices are active. Coverage areas can also be an issue. Although some mesh routers are limited in reach, they’ll also allow you to set up additional routers on the same network. This lets you customize your setup to your own unique environment. If you need to add only one to make a three-router mesh network, you can do that with many systems. As when you’re shopping for modems, though, it’s important to make sure any equipment you buy is compatible with your internet service provider. Some routers advertise which ISPs they work with, but it still can’t hurt to call up your provider and ask before spending your hard-earned money. Lastly, consider the controls your mesh router will give you. Some brands include an app with your purchase. Simply link to your network, and you’ll have access to features like prioritizing some devices over others and locking your network down during the hours you don’t want your children online. You can also use apps like these to take a look at the speeds you’re getting from your network, pinpointing performance issues that might indicate you need to make some changes. Mesh networking is no fad. In fact, it dates all the way back to the 1980s when it was used in military experiments. It widened in popularity in the 1990s but remained primarily limited to business use until recent years, when demand made it more accessible to home users. One problem with today’s mesh routers is that once you choose a manufacturer, you’re locked into that brand. You’ll be limited to upgrading using only the equipment that works with that particular network. The equipment also tends to need replacing every few years, making it even more complicated if one router fails and you can’t find a suitable add-on without replacing all your mesh networking equipment. With any networking device, speed is a priority. The NETGEAR Orbi offers speeds of up to 3 Gbps, due in large part to a dedicated connection with the main router. It also uses patented tri-band technology to ensure that numerous devices can connect to the network at once without affecting performance. There isn’t a one-size-fits-all solution when it comes to mesh networking. Coverage areas can vary from one setup to the next, so look for one that fits your own unique environment. The Eero Home Wi-Fi System is designed for a two to four-bedroom home, while the NETGEAR Orbi covers up to 5,000 feet. If you have a smaller home, you may find the NETGEAR Orbi doesn’t provide the same strong performance due to its proximity to the main router. The Google Wi-Fi System can be customized to your own space. If you have up to 1,500 square feet, you can set up only one, but a 4,500-square-foot home will need all three routers. Before you buy, you should also check to make sure the mesh network you choose is compatible with your internet service provider. The Google Wi-Fi System and Ubiquiti AmpliFi HD Wi-Fi System both advertise compatibility with Comcast, Time Warner and Verizon Fios. The Ubiquiti AmpliFi HD Wi-Fi System also promises to work with AT&T and Spectrum. At one time, you pretty much needed to be a tech expert to set up routers throughout your house. Today’s mesh networks make it easy, with some even providing an app to put you in control. The NETGEAR Orbi, Google Wi-Fi System and Eero Home Wi-Fi System feature easy setup and, once your units show up on your network, an app to help you manage it all. The NETGEAR Orbi’s app lets you create a guest network, set up parental controls, perform speed tests and more. With the Google Wi-Fi System, you’ll get an overview of your network so that you can see what’s going on. When you set up any type of network, you’ll want to make sure you can someday link additional routers to it. The Eero Home Wi-Fi System makes it easy to add more beacons later. Some home users like to connect electronic devices directly to the router. If this is something you want to do, steer toward the NETGEAR Orbi, which includes four ethernet ports. The Google Wi-Fi System and Eero Home Wi-Fi System each bring two ethernet ports, while the Ubiquiti AmpliFi HD Wi-Fi System has only one. However, the Ubiquiti AmpliFi HD Wi-Fi does have one USB port, which can come in handy. One unexpected benefit of a mesh network is that some allow you to set up a guest network. While staying in your house, friends and family members will be able to enjoy fast, secure internet access with their own separate password. This helps protect the password you have set on your main account, while also giving them their own separate space. The NETGEAR Orbi has this feature. The Google Wi-Fi System and Ubiquiti AmpliFi HD Wi-Fi System also make it easy by letting you share access with guests without having to give out your password. Since you’ll be placing these routers around your home, appearance is an important consideration. The Google Wi-Fi System is perhaps the most inconspicuous, as small white round cubes that are only 4.2 x 4.2 x 2.7 inches. But the Ubiquiti AmpliFi HD Wi-Fi System is similarly small, measuring only 3.9 x 3.9 x 3.9 inches. The NETGEAR Orbi has a much higher profile, even though it’s slimmer than other models, with dimensions of 6.7 x 3.1 x 8.9 inches. Although it may not be as easy to tuck into a corner as other mesh routers, the NETGEAR Orbi has a very sturdy build. A mesh networking setup will likely cost more than general routers, so it’s important to make sure you need it first. You may find a Wi-Fi extender will do the same job, especially if you’re just trying to fix one dead spot in your home. 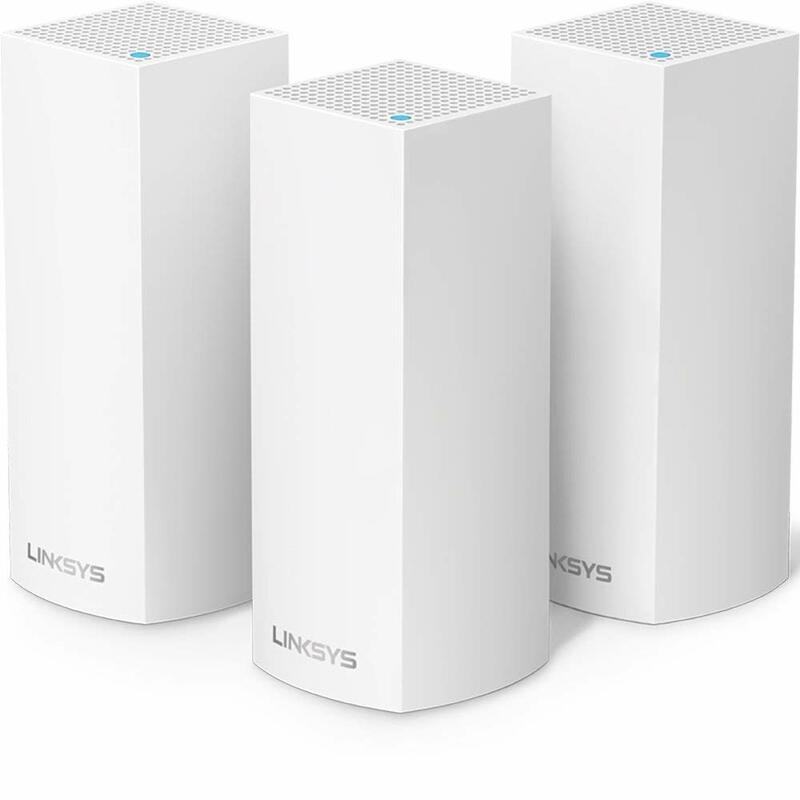 Most mesh router systems retail in the $200-$400 range. The Google Wi-Fi System is on the lower end of that, retailing for between $200 and $300. Access points are an important consideration while you’re shopping. The NETGEAR Orbi and Ubiquiti AmpliFi HD Wi-Fi System each come with only two mesh points, which limits how far you can extend your network. The Google Wi-Fi system gives you three, but you can purchase additional access points in sets of only one. The Eero Home Wi-Fi System is designed so that you can add access points later. If you have children in the house, parental controls can come in handy. The NETGEAR Orbi and Ubiquiti AmpliFi HD Wi-Fi System both allow you to set those controls using their respective apps. If you have an Amazon Alexa in your home, consider the Eero Home Wi-Fi System, which will let you pause your internet through a voice command. You can also use your Alexa speaker to find a connected device and manage your network’s settings. One benefit of the Ubiquiti AmpliFi HD Wi-Fi System is that you can set it up to work in bridge mode, turning it into an access point on your network rather than a router. Security is a concern with any home network. While strong passwords can keep your data safe, the Eero Home Wi-Fi System adds to that by only allowing WPA-2 compatible devices on your home network. The truth is, some devices are more important than others in your household. If your teen is gaming while you’re trying to work, for instance, you may not appreciate the general slowdown. The Google Wi-Fi System lets you pick which devices have top priority in your household. Only one device can be prioritized at a time, and while this feature is in place, other household members may experience slower performance. Placing your routers can be tough. The Ubiquiti AmpliFi HD Wi-Fi System makes it easier with a built-in LED screen that shows signal strength. For the Mesh Router category, we analyzed 24 of the most popular reviews including reviews from Tom's Guide, Tech Radar, Trusted Reviews, PC Magazine, CNET, Tech Spot and more. The result is a ranking of the best Mesh Routers.